Need a DJ? 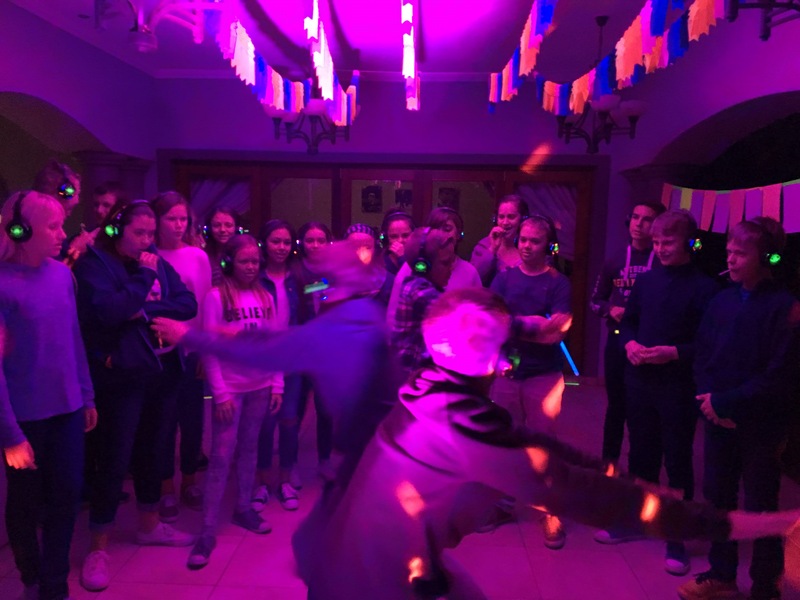 Why not a Silent Disco? 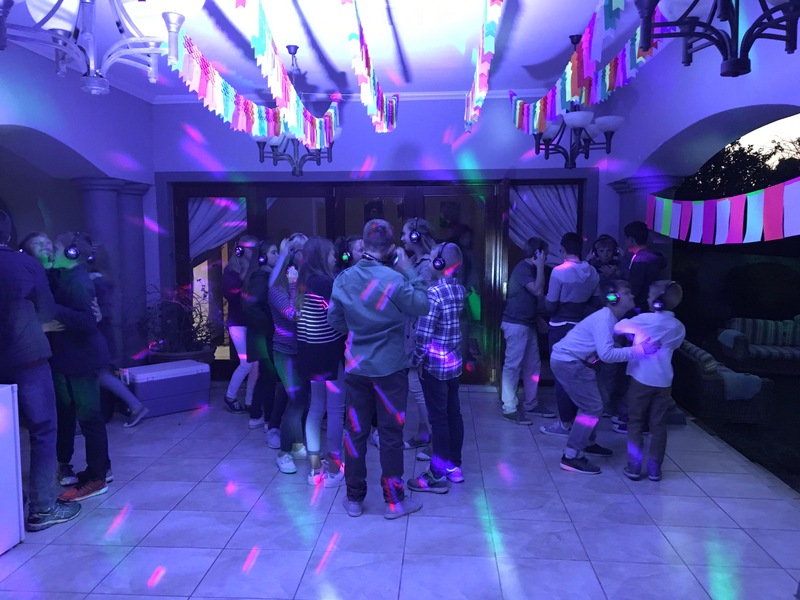 Let your childs’ birthday party stand out from the rest with a fun (and noise free) disco party that the neighbours won’t complain about. Imagine being at a children’s birthday party where there is peace and quiet. Sounds too good to be true, right? But with our Silent Disco, that’s exactly what you get with all music played through our wireless multi-channel headphones. No traditional out loud speakers, no noise pollution. Just think, with 3 channels of playlists to choose from, you can be spared hearing ‘Let It Go’ for the eight millionth time and instead tune into a playlist of your preference on one of the other channels on the headphones. Bieber on the Blue channel for the kids, Rock on the Red for the parents, Motown on the Green for the grooving Grandparents …all at the same time! Each child and guest can chop and change between the channels with just a touch of a button well as control the volume on their own headsets. 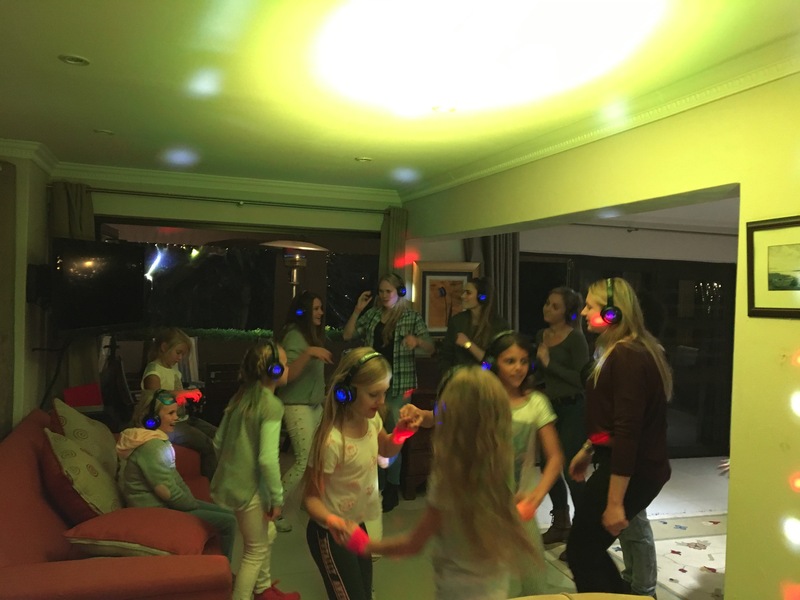 Our Silent Disco equipment can transform any garden, garage, lounge, park into a hip and happening disco venue including lights and a smoke machine. 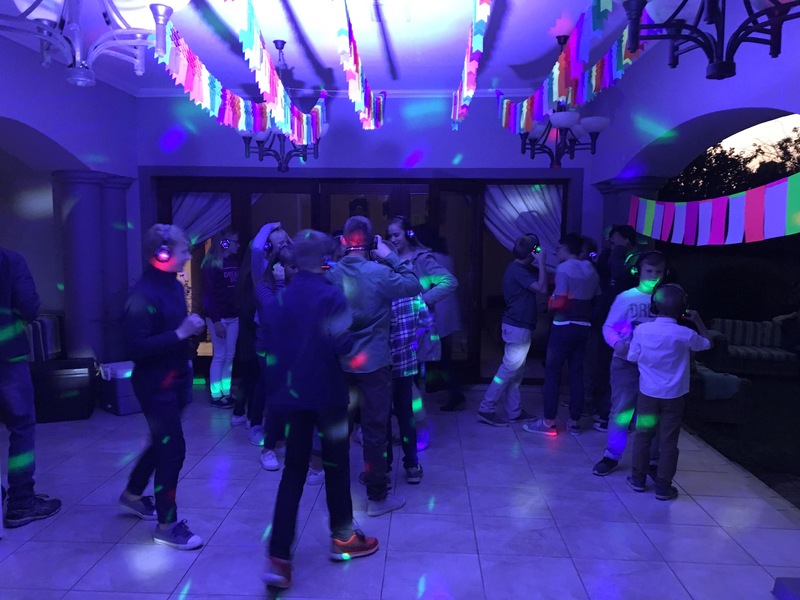 Our professionally trained party facilitators will keep the kids delightfully entertained with not only the music but also face-painting and musical party games. Kids’ entertainment (face painter, fun dance lessons, musical party games) from the kids’ party pros at Bazinga. 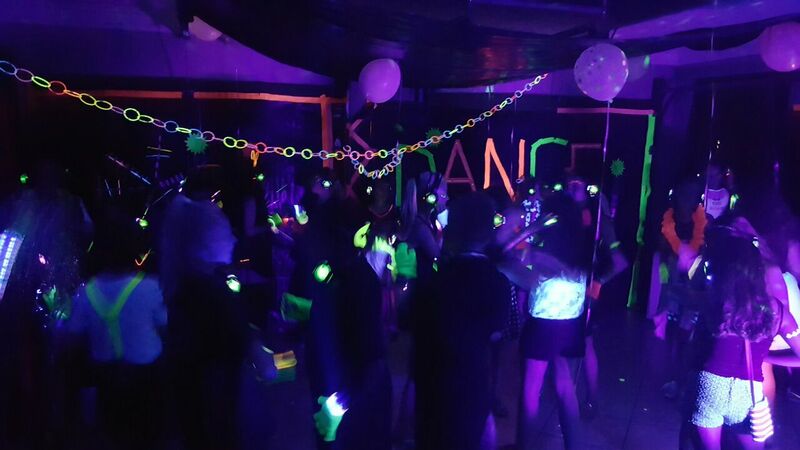 Lighting (disco lights & a smoke machine) R195/ child. 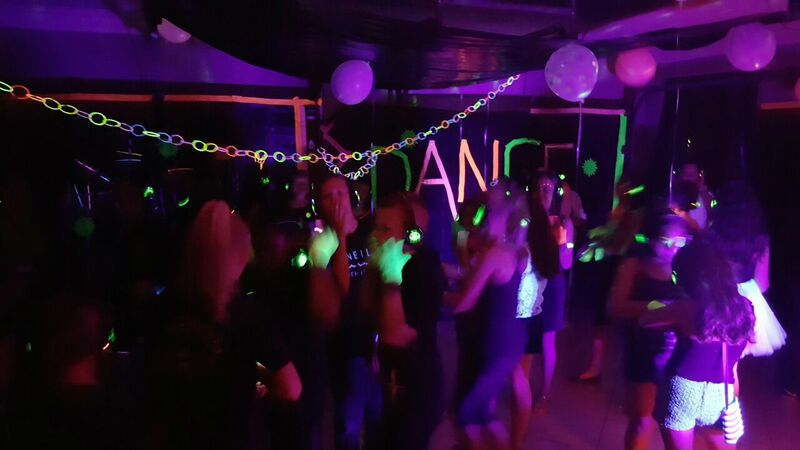 Silent Events operates throughout Southern Africa, specialize in the ever growing popular phenomenon of the Silent Disco. Here are our top 10 reasons as to why a Silent Events multi-channel headphone party offers the perfect solution to your wedding restrictions and woes, whether as the main attraction or as a late night add-on. 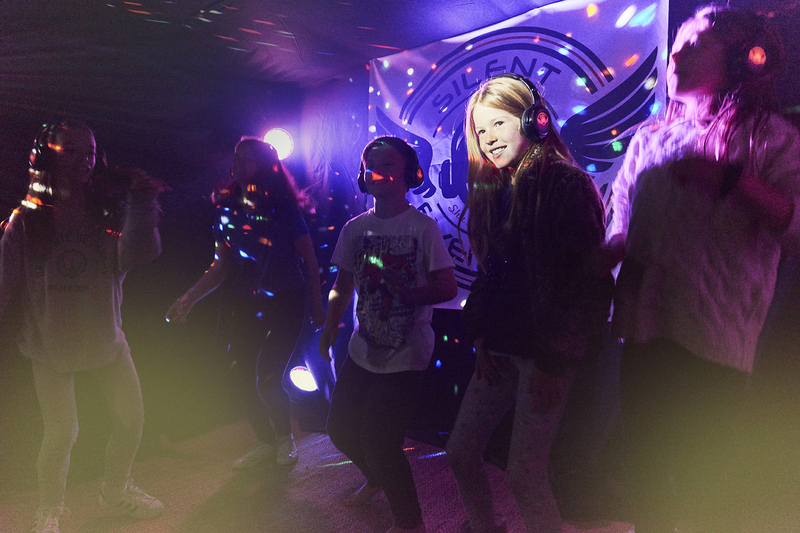 Kids, parents, friends, even the grandparents love our silent discos and the way they bring people together.